Avoid the clutter of a busy nursery with these products! Your baby’s nursery is susceptible to clutter as much as any other room in your home. The nursery can become cluttered with clothes, blankets, and toys. Not to mention, the tons of products, like diapers and diapering products, bath and skin products, clothes, toys, blankets, and towels, you may receive at your baby shower. Organizing your baby’s nursery may seem a daunting task. Luckily there are many products that can help you to organize these items into your baby’s closet or dresser. There are also many products that can provide you with extra space for storage. The best part is that most of these products are very affordable! We’ve made a list of the best products for organizing your baby’s nursery. We have included items that are practical, affordable, and efficient! Fabric organizers are a great way to declutter a closet or dresser drawers. These organizers offer many compartments in different sizes and shapes. They are soft sided so as to allow you to fold them away when not in use. 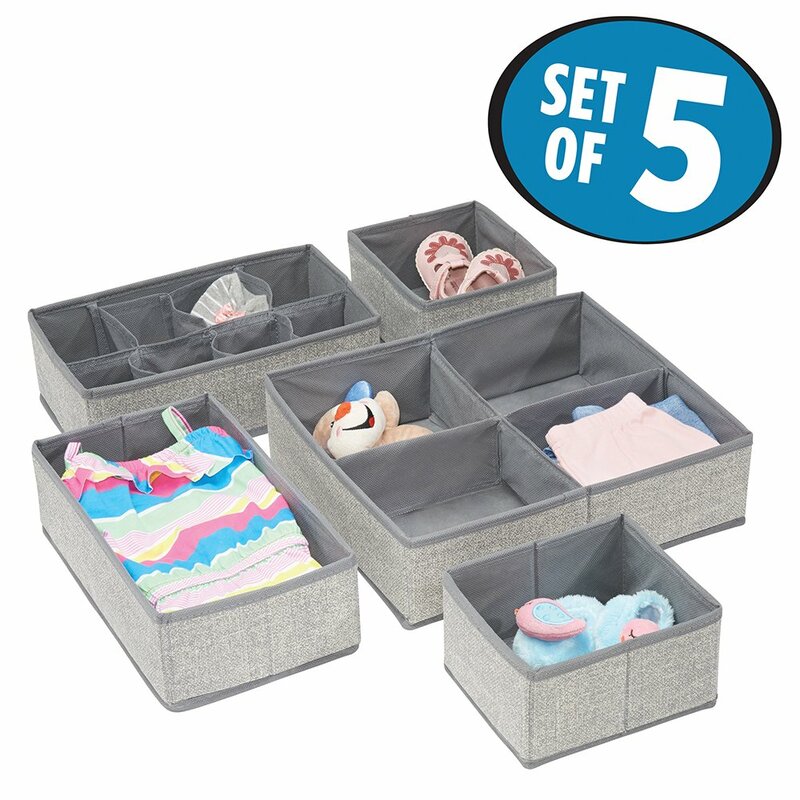 This set of 5 organizers is very affordable, and allows you to organize shoes, clothes, blankets, toys, and more! 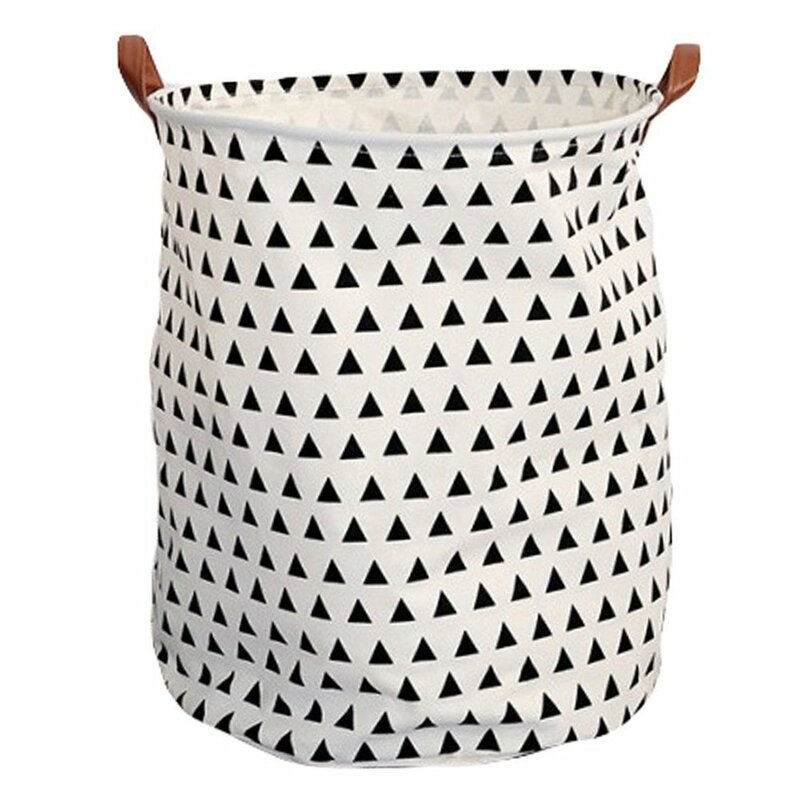 Canvas bags or hampers are a great way to store toys, blankets, or dirty laundry. This canvas bag is sturdy and stands up on its own. The canvas material is thick and the inside is lined to protect the fabric from moisture. It is available in four unique colors and designs! Baskets are another great way to organize items in your baby’s nursery! This set of adorable woven baskets come in three light pastel colors. The baskets are hand-made from cotton rope, and are smaller in size. 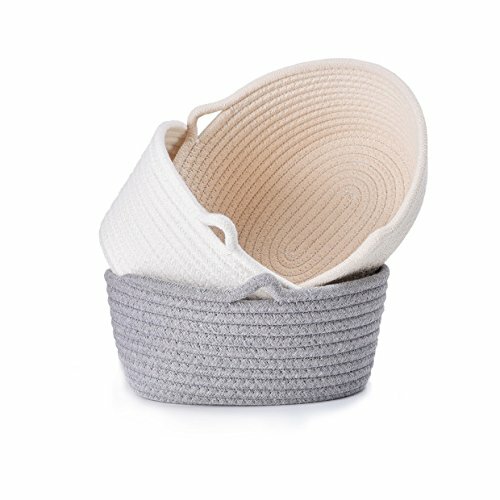 Ideal for holding toys, pacifiers, diapering supplies, bathings, supplies, burp cloths, or small towels/blankets. An adorable addition to the nursery and great for storing away those smaller items! These organizers hang right up on the rail of the closet, and they store away and organize a ton of clothes, toys, blankets, and more! This set of two is very affordable! 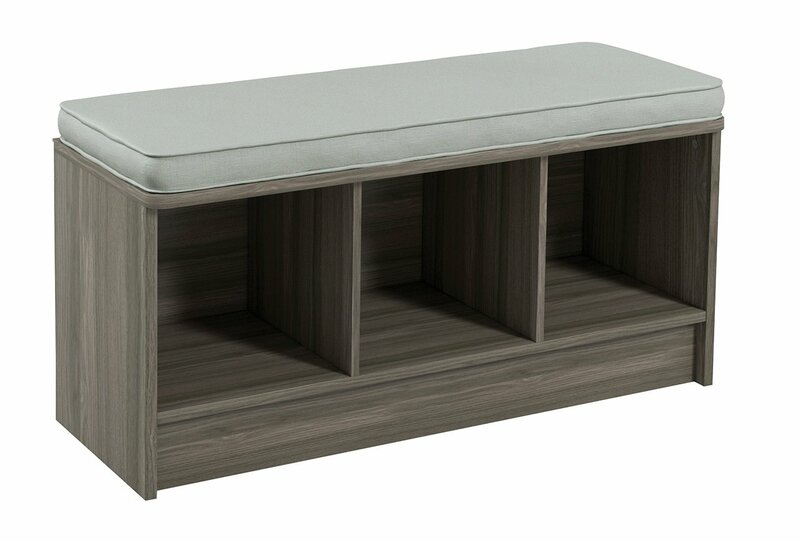 It includes 4 small storage compartments, 3 large compartments, and three drawers! 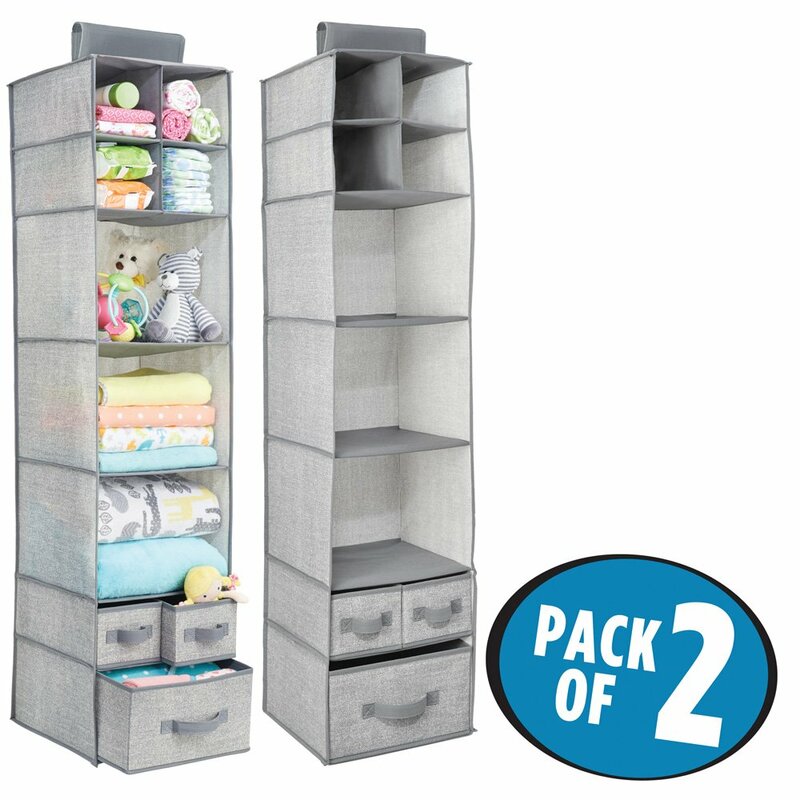 If you find that there isn’t enough room in your baby’s dresser for all of their clothes, or that you need extra space to store toys, diapers, towels, or blankets, this is a great option! The frame is sturdy and made of steel, and the top is made from MDF board. The drawers are fabric, but sturdy enough to prevent sagging. The entire unit is lightweight, making it easy to move around the room. 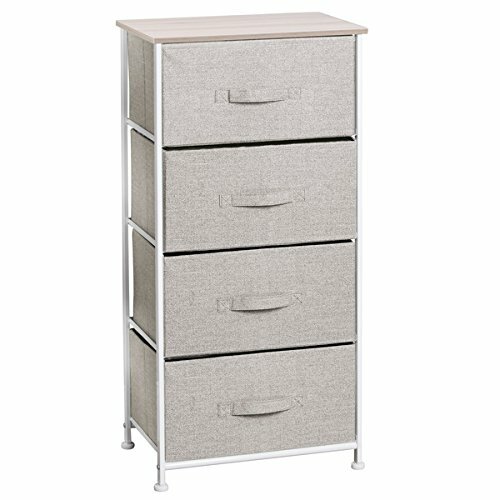 This storage dresser is available in two color patterns. Crawling infants or walking toddlers may be able to pull this unit over; should be anchored to wall once baby reaches these stages. This caddy is a great way to organize your diapering supplies and keep them close to you at your changing station! Storing your diapering supplies this way can free up the shelves on your changing table to store other items, therefore giving you more room to organize the items in your nursery! 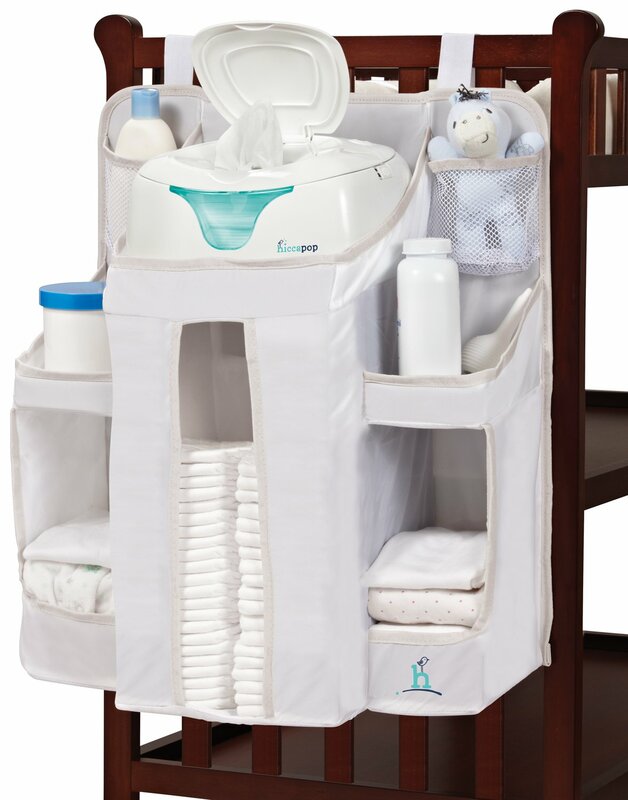 This hanging diaper caddy holds diapers, wipes, blankets, powders, lotions or creams, and more! Hangs on side of changing table, dresser, crib etc. 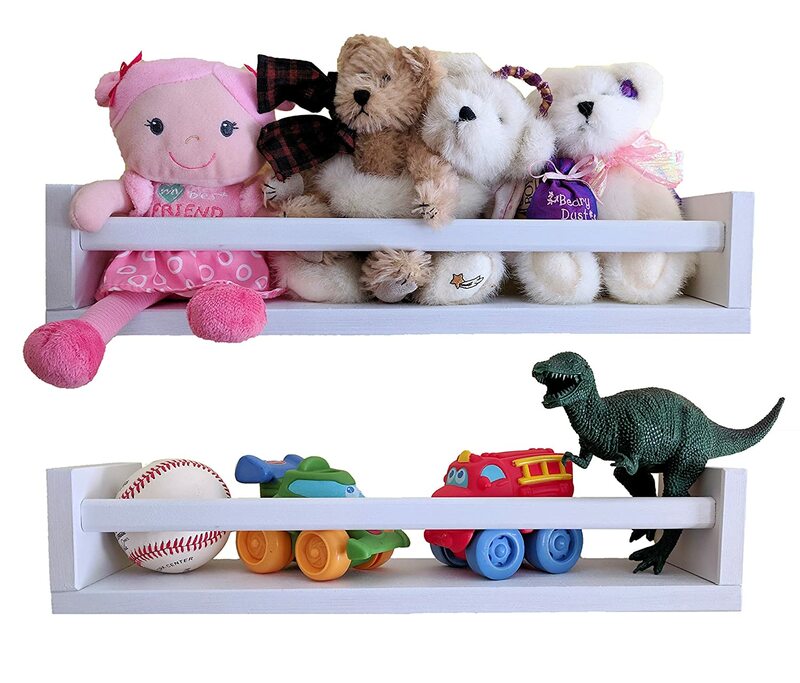 These shelves can help you organize toys, books, keepsakes, and more! All of your items are held in place by the wooden barrier. The shelves are made from solid wood, and your purchase includes all of the materials needed to mount the shelves to the wall, as well as detailed instructions! Easy peasy! 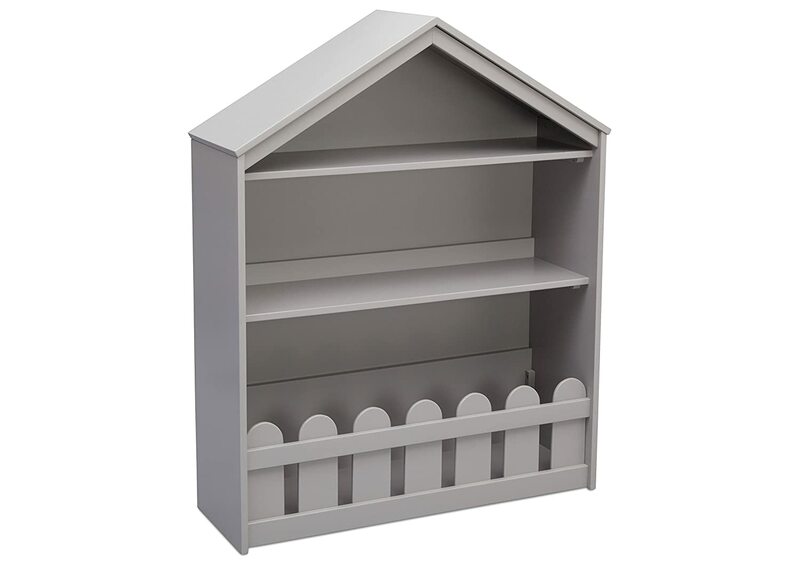 Bookshelf gives your nursery a charming touch with its adorable picket fence trim and gabled roofline! It is made of solid wood and is available in three colors! The bookcase is tall enough for your little one to reach once they reach the toddler/preschool years. An anti-tip kit is included in your purchase! We just had to include this unique bookshelf on our list! It definitely adds a whimsical element to the nursery! 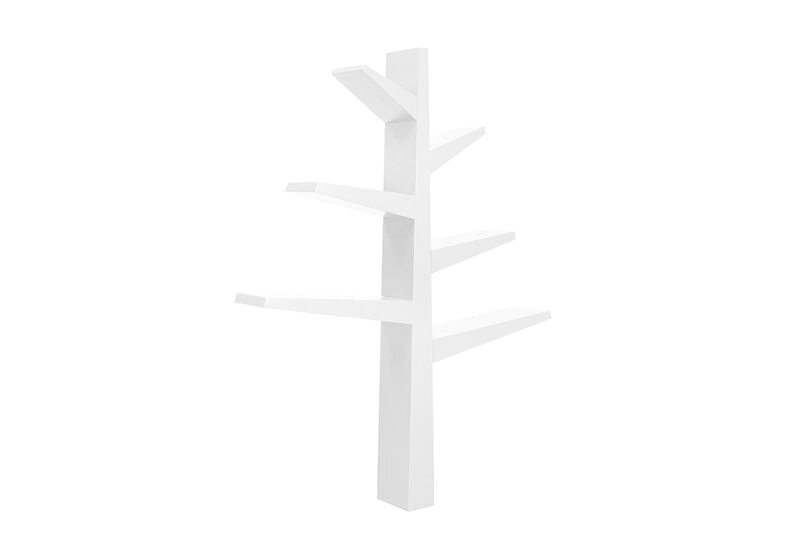 It’s available in four colors and holds toys or up to 15 books per “branch”! It features hidden hardware construction so as not to take away from the charm. It includes a mounting kit for safety! For both storage and convenience, why not add an adorable bench to the nursery? This neutral-colored bench adds a contemporary element to the nursery while giving you more storage room as well as a place to sit, combining functionality with style. Use this handy table to easily view the best nursery organizers at a glance, and choose the best ones for your baby’s room!